Government has reaffirmed its commitment towards supporting and promoting the growth of the film industry in the country. Minister of Information and Broadcasting services, Dora Siliya disclosed that to this effect government will accelerate the development of the film policy to protect the interest of the industry. Ms Siliya explained that government considers the sector as a key to create employment and wealth among the people. She said this is why government will continue providing the necessary support to ensure that the sector is developed, to acceptable standards beyond borders. Ms Siliya was speaking in Lusaka today, after renowned Nigerian Actor Jim Ike called on her at her office. “Government will continue to support the sector because of the potential it has in developing the social sector through job and wealth creation,” she said. 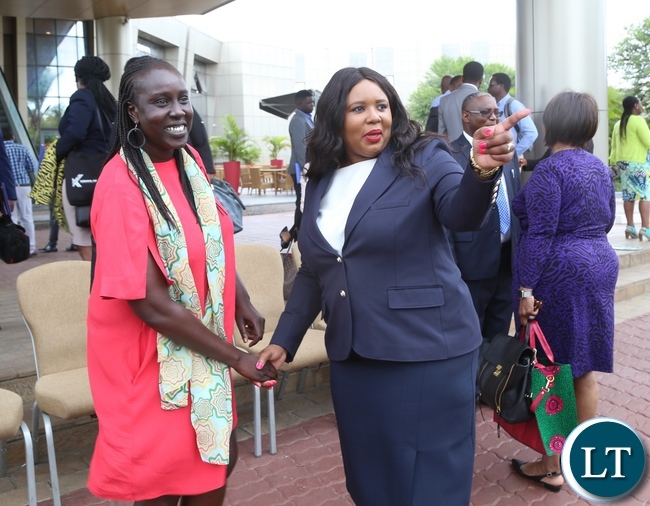 She noted that Zambia has recorded progress in the production of local content. The Minister who is also the Chief Government spokesperson cited the Multi-Choice Talent Factory as one of the initiatives that will be used to improve local content. Ms Siliya further added that collaboration between Zambia and Nigeria in film production will go a long way in improving the sector, adding that Zambia will be able to learn from Nigeria which is advanced in film making. And Jim Ike has called on strengthened partnership among the film industry in the African region. Mr Ike noted that countries in the region have a lot to learn from each other hence the need for them to collaborate and come up with productions. “I can see a lot of enthusiasm from actors in this country, and such collaborations in film making are important, and am ready to work with PIYO team,” he noted. And Albert Muteba the Producer of PIYO has called on government to help address the many challenges in the sector. Mr Muteba cited lack of equipment, human resource and funding as some of the problems that are affecting the growth of the industry. He further added that Zambia is likely to benefit from Nigeria through skills transfer among film makers. Jim is in the country for the production of PIYO, a Zambian movie in which he has featured. Nigeria, Nigeria……let’s see if we can engage India’s Bollywood too for their skills and knowledge. I wanted to be like Dora Siliya when I was younger. I remember when I was in primary school, I would watch her and Evelyn Mutubila in awe. Alas one is fat and a politician, the other married her grand pa. Am glad I have other role models who are/where not in broadcasting. Mumba SR, (JR), should roll!